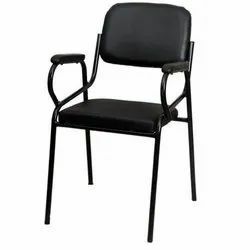 Leading Manufacturer of executive visitors chair, designer visitors chair, visitor s type chair, visitors chair, v-1 visitor chair and stainless steel chair from Mumbai. Being a well-established company, we are proficiently engaged in offering our Executive Visitors Chair. Our visitors chairs are excellently designed using quality tested material that makes these able to withstand in tough and adverse conditions. 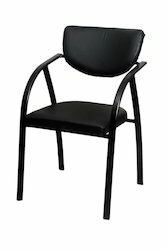 Suitable for three people, these visitors chairs are widely acclaimed to be placed across hospitals, offices and public places. 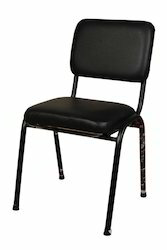 Further, the entire range of visitors chairs is available for the customers in various designs, sizes and styles. We take immense pride in introducing ourselves as one of the renowned names of Designer Visitors Chair. 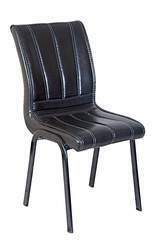 Our offered visitors chairs are manufactured by us in accordance with the set quality standards and guidelines. In our range, we offer wooden arms and steel frame chairs. These visitors chairs provide complete comfort to the clients and are suitable for being kept in the offices. We ensure that visitors chairs offered by us are thoroughly tested by our quality controllers to ensure their flawless delivery. We take immense pride in introducing ourselves as one of the renowned names of Visitor S Type Chair. Our offered visitors chairs are manufactured by us in accordance with the set quality standards and guidelines. In our range, we offer wooden arms and steel frame chairs. These visitors chairs provide complete comfort to the clients and are suitable for being kept in the offices. We ensure that visitors chairs offered by us are thoroughly tested by our quality controllers to ensure their flawless delivery. Our offered Visitors Chair are manufactured by us in accordance with the set quality standards and guidelines. In our range, we offer wooden arms and steel frame chairs. These visitors chairs provide complete comfort to the clients and are suitable for being kept in the offices. 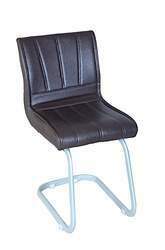 We take immense pride in introducing ourselves as one of the renowned names of V-1 Visitor Chair. Our offered visitors chairs are manufactured by us in accordance with the set quality standards and guidelines. In our range, we offer wooden arms and steel frame chairs. These visitors chairs provide complete comfort to the clients and are suitable for being kept in the offices. We ensure that visitors chairs offered by us are thoroughly tested by our quality controllers to ensure their flawless delivery. 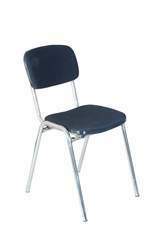 We take immense pride in introducing ourselves Manufacture products names of Stainless Steel Chair Our offered visitors chairs are manufactured by us in accordance with the set quality standards and guidelines. In our range, we offer wooden arms and steel frame chairs. These visitors chairs provide complete comfort to the clients and are suitable for being kept in the offices. We ensure that visitors chairs offered by us are thoroughly tested by our quality controllers to ensure their flawless delivery. Looking for Visitors Chairs ?